"With the bad economy and recession the job market has changed so much in the past decade that this is what I have encountered. Job listings where they won't reveal job salary range and when you correspond by phone and email the person gets vague and non-committal and tried to avoid it completely. Obviously there is a cap and ceiling to what the job position is going to pay but in today's job market the employer is hoping to get a real bargain with over qualified candidates and a real cheap price per hour or per annual salary. 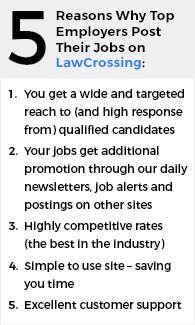 Job postings now have 4 to 5 jobs combined into one. Where ten years ago you had to have several software and new skills now the job postings have a job that had public relations, marketing, SEO, video editing, excel spreadsheet and bookkeeping all rolled into one job! The changes I have seen with my clients are small but significant. I am a workplace consultant (www.stevelangerud.com) and deputy director of global development with Maharishi University of Management. As a consultant, I work with employers on talent acquisition, integration, and retention. I have worked with over 15,000 people on workplace and professional issues. I have also worked with employer relations are universities for over 20 years. Technology skills. Ten years ago postings were explicit about the Microsoft suite of products. Today, they assume a higher level of experience and are asking for specific skills within each program. Social media. Ten years ago few employers asked or cared about social media. Today, my clients are all asking for competence in using social media for a range of positions. Data management. Data has become more important than ever. Programs like Google Analytics make data accessible to a wider range of employees and, with that accessibility, comes an expectation that they be able to use the data on a regular basis in their planning, implementation, and assessment. Project management. Postings have become more specific about the need for skilled project managers across industries. Logistics. Moving people, things, and information requires sophisticated skills. Logistics have become part of the language and expectation for a broader range of industries than ten years ago. Smart job seekers will be paying attention to these subtle changes and mirror them in their application materials and interviews. Students, in particular, should be seeking to develop experience using these skills that are showing up in job postings. Job posting has become more niche oriented as recruiters are looking for more targeted results through skillsets, specific education and geographic location. Social media is becoming an even bigger player in the recruitment market as an effective way to give jobs listings exposure. This also exposes passive job seekers to openings - particularly in fields like software development. Large national job boards are diminishing in prominence as job posters find more cost-effective and efficient ways to post their positions and reach qualified candidates. Since most job seekers begin their search using Google, it's increasingly important for companies to have a careers page on their company website. Eric Semon, HiringThing's Director of Customer Success. Over the course of the past 10 years Eric has worked in the online HR space at CareerBuilder, Career Exposure and now at HiringThing. One of the greatest changes in the last 10 years for job seekers is where jobs are posted. Instead of searching the wanted ads in newspapers, people search online on sites like Indeed or SimplyHired. Not only are people looking online for job listings, they're also connecting on professional social media websites like LinkedIn. In fact, recent numbers indicate that 77 percent of all job openings are posted on LinkedIn. (Source: http://socialmediatoday.com/leaderswest/1440796/infographic-77-all-jobs-are-posted-linkedin) That's an incredible shift of how social media is impacting the professional networking and employment space. The process of discovering new jobs and submitting job applications is becoming extremely social as personal recommendations stand out above the average applicant. Jobzey.com has capitalized that idea and finds job openings at companies where your Facebook friends work, helping job seekers get a leg up on their competition with insider help. 10 years ago job ads were placed in print form (newspapers, bulletin boards, etc.). Now jobs ads are almost always in digital form on websites such as Craig's list, monster, and even LinkedIn. I am the President of Artisan Creative, a niche staffing and recruitment agency in Los Angeles which places talent in digital and marketing roles. I have worked in various creative recruiting roles for over 12 years. At Artisan Creative, we post jobs almost daily to our own website as well as job boards and on social media platforms, which have been the biggest change in recent years. Social media have made job posting much more immediate, and broadened the reach tremendously. Being able to Tweet a job and post to multiple job boards with one click has made a huge impact on recruiting. LinkedIn, Monster and other major sites with job listings have created a forum where recruiters can more easily engage with potential candidates. This means that the job posting doesn't have to be exact or detailed...there will be a steady flow of candidates despite the low-quality of the JD. Search bots that make a living on key-word search have rendered many job descriptions nothing more than key-word soup. It short-changes the process and the employer, because candidates follow suit, creating profile sections on their resumes that simply echo the job description. We've seen stagnation and a soft job market in 5 of the last 10 years. As the recuperation also stagnates, we've seen job postings by companies that have little or no plan to actually hire. They're fishing and/or trying to look like they are expanding for the benefit of investors and current employees. Job posting has gotten much better. We're not beholden to job boards or newspapers any longer with the advent of vertical search engines like SimplyHired and Indeed. We can post what we want on our career pages and make sure they get picked up by these. It's liberating not to have to worry about whether it's worth it to spend several hundred dollars on a job board ad or a display ad in the Sunday paper. Job seekers in the last few years have caught on and I feel that we're both in sync so to speak when it comes to looking for a position online. Job boards still have a place, but not as big as it was 10 years ago. Social media has just made it that much easier too. I can take my job posting on our careers page and post a link directly to my LinkedIn profile and let 920 people have the opportunity to see it. Same is true for less "worky" sites like Facebook, Twitter and Google+. In short, I am thrilled compared to where we were ten years ago. I like the many options we have now to make our opportunities available. I hope these options stay open and effective for the long haul but I fear that LinkedIn is hoping all job seekers go there for their job search. They've done a great job and have transformed recruitment in many positive ways, but if they succeed, then they're just like the job boards of 10 years ago. But just a bit better. Job boards 10 years ago were like the big three networks - ABC, NBC and CBS in the 70s-80s-90s. Those TV networks witnessed the explosion of content on cable and then another dimension was added with online and independent content on the likes of YouTube etc. Similar to how consumer brands had to identify which consumers were spending what amount of time where, HR/recruiting execs have to move beyond job boards and find out where the candidates are spending time and then find creative ways to engage them. It's no longer enough to advertise your open job with an 'Apply Now' message. Hiring managers must start a real dialogue about why the candidate should work for their organization. In addition, another dimension is being added to this challenge by the growth of phones and tablets, which add to the complexity. Use of job posts on social media sites, especially LinkedIn. The impact that aggregators have had on the job posting process (i.e. indeed.com, simplyhired.com, etc. and their ability to aggregate job postings from multiple job posting sites). This makes looking for a job easier for the job seeker. Linking job posts to your corporate social media sites (Facebook, Twitter, etc.). Using video to append to your job posts to tell your story to the job seeker.